In this short video filled important information for technicians who work on vehicle air conditioning systems, you will learn the key points in becoming certified or getting re-certified to handle R1234yf Refrigerant. Also, you will be provided with information on where you can take the test, how you can take the test, the cost of test and more. This video contains additional resources as well in order to find out more information on Section 609. Based on the Beach Boys hit "409", AVI's "609" is a fun way to remind A/C technicians they need to be Section 609 certified. Reminiscent of the hysteria when the Beach Boys would take the stage, you'll be transported back to the 60's, when we'd all agree A/C servicing was a little less complicated. So take a break, sit back and watch "609", presented by AVI. Surf's Up! AVI along with Carm Capriotto of Town Hall Academy will be hosted a special event featuring Peter Coll of Neutronics, Travis Williams of Honeywell, and Steve Schaeber of MACS to discuss key points regarding Section 609 Certification. 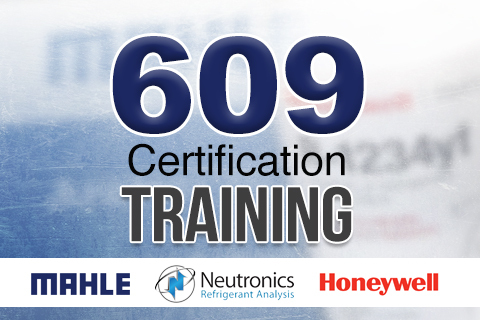 Discussion topics include, who must be certified, who makes up the test, how and where to become Section 609 certified, the penalties for not complying with Section 609 certification and more! This podcast will took place on April 19th and is also be streamed on AVI’s Facebook page. 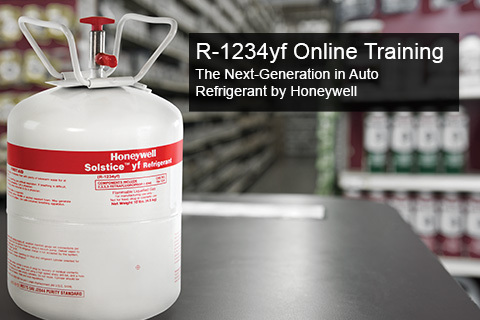 Are You Looking For R-1234yf Training?